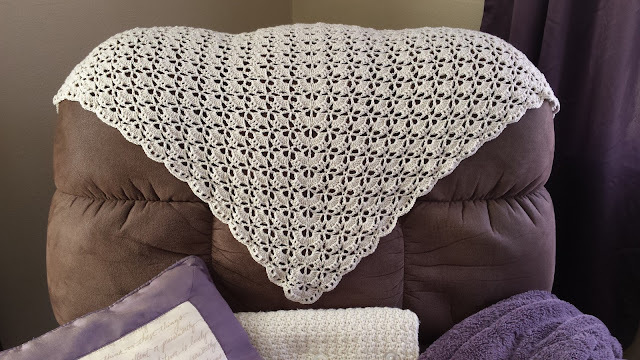 This spring I kept my hands busy by crocheting a shawlette. I used the free South Bay Shawlette pattern from Lion Brand Yarns. This is the first time I have ever crocheted a shawl, and it was fun! Although I did make mistakes several times, and I had to take out quite a few rows to fix my mistakes! 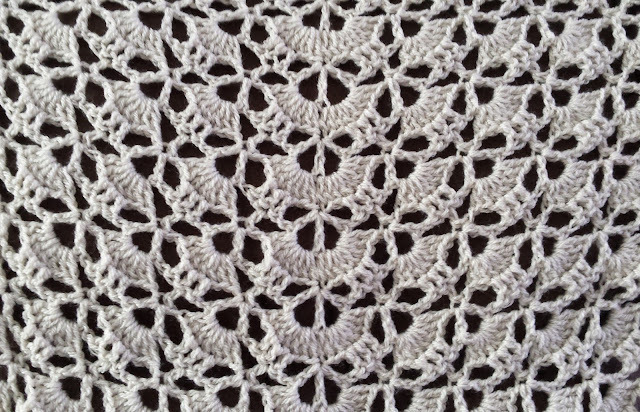 Brain fog and crocheting don't always mix well, but eventually I completed the shawlette. 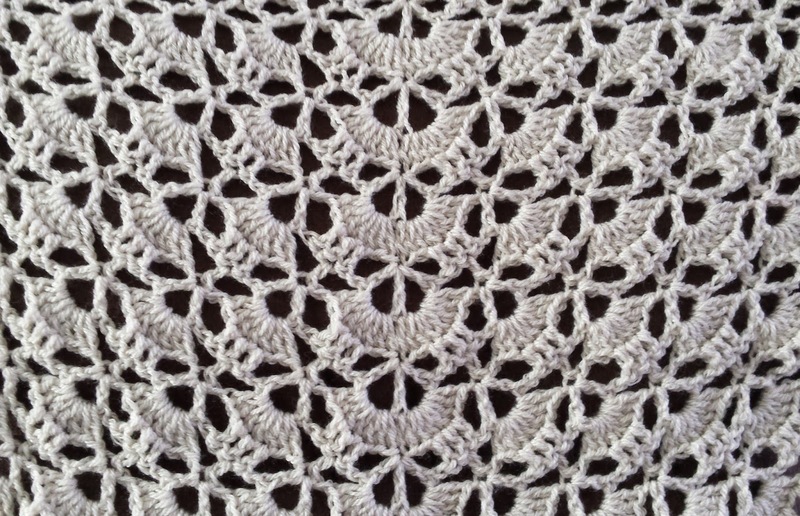 Here is a close up of the lacy pattern. I think I will give this shawlette to a friend as a gift. But first I am going to enter it in our county fair later on this month! 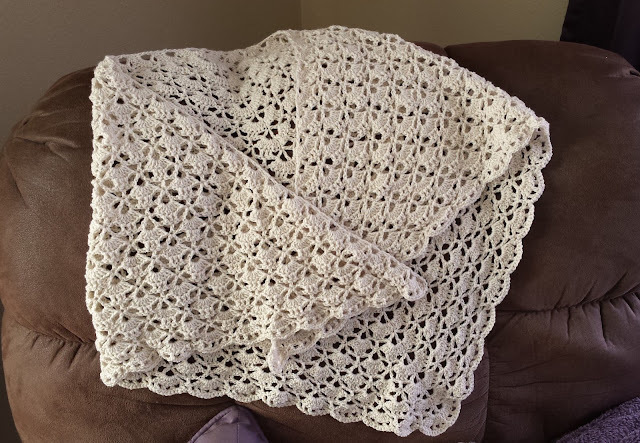 I have three more small crochet projects that I am also working on finishing so that I can enter them in the county fair. I am hoping for strength in my arms to finish them up in time. 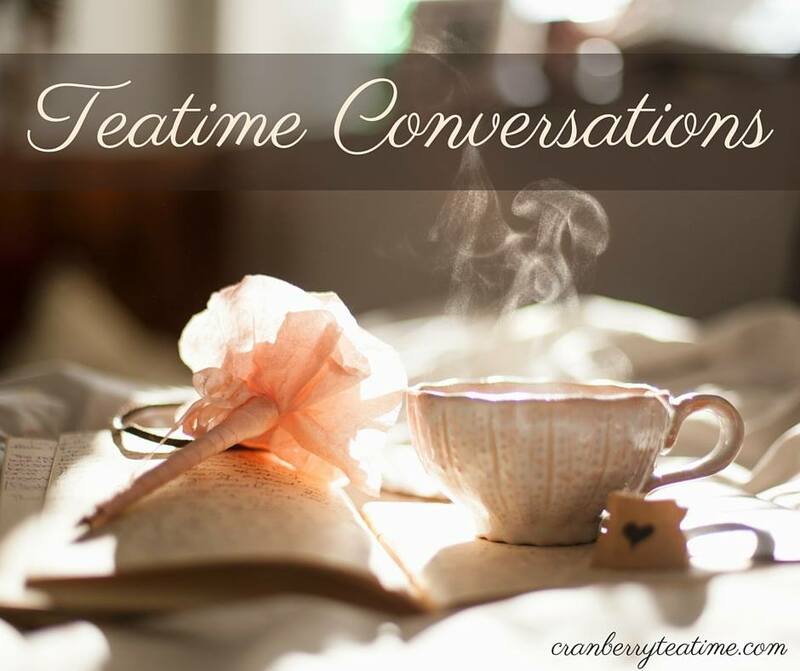 What have you been doing lately to keep your hands busy? Are there any crafts or other projects you have been working on? I'd love to hear!